Your times and seasons are in My hands, says the LORD. Do not fret about the pace that I set. Do not fret about the way that you take, for I know it. I know you. 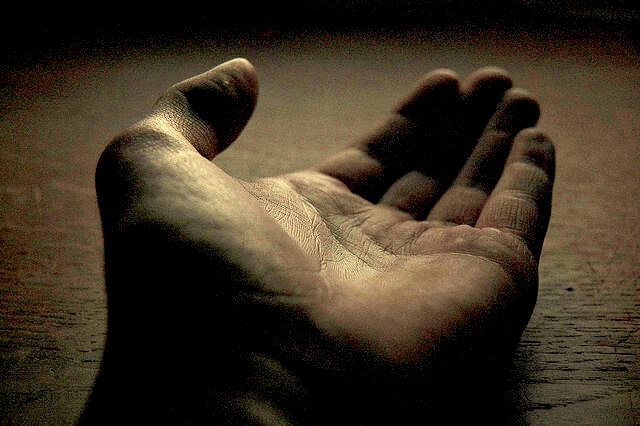 I have you in the palm of MY HANDS that formed you and provision you. You are not lost in the shuffle. I value you. I Am with you and I will lead you into the fullness of your destiny and complete you in ME. I will fully furnish you unto every good work that I have ascribed for your life and you will be fulfilled. I will use you for MY glory and My glory will be seen on you, says the LORD. Again I say, do not fret the pace the I set. I will not forget you and you will not be overlooked. The harvest that is great is before you and you will reap. You will sing the joyous songs along with the other reapers and be filled with exceeding joy. I Am the owner of the fields that are ripe for harvest and I am fully equipping you to work in My field. Even as I said that your labors are not vain in Me, you will not look back at the times when the harvest failed, the wasted years, the lost opportunities and the times that were unproductive, in light of what I will do with you for My kingdom and by My power and for MY GLORY, says the LORD, for the best is ahead and you will not miss it, says the LORD. Amen. Glory to god. Thank you Lord. Hallelujah. Thank you lord. for always been dare for me! Thank You Father, I receive it it as I await all your spoken promises over my life. Amen ! ohoooooo!!!!!!!!! my Lord do as U want to do. Amen. Thank You Lord for the assurance! Thank you once again for posting word from the Lord direct to my soul. Thank you LORD and bless your servant June. I love You Lord, thank You!